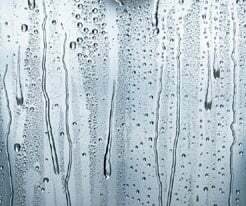 Condensation forms when humidity is so high that the air is saturated and can’t take on any more moisture. The solution to the problem is not complicated, but you need to be sure you are measuring the right variables to identify the best method to resolve it. When does condensation become a problem? An introduction into some interesting and hotly debated subjects. Which is best for protecting escape routes: a smoke shaft system or a pressurisation system?